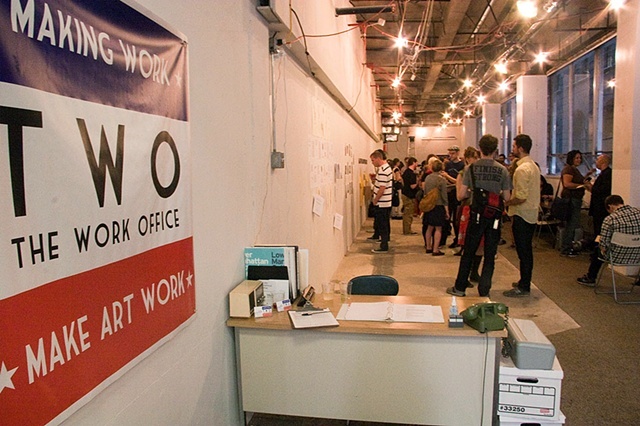 The Work Office (TWO) is a multidisciplinary art project disguised as an employment agency. 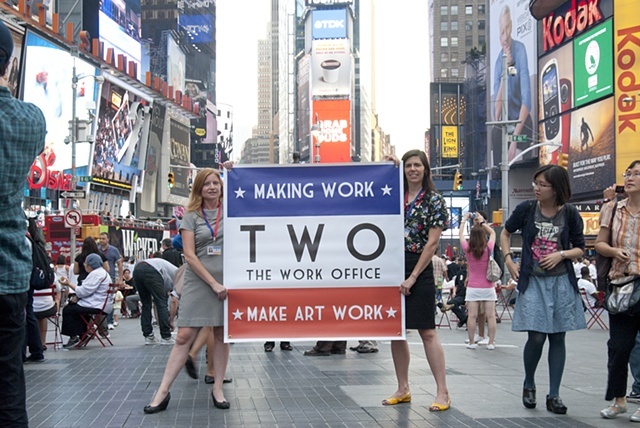 Informed by the Works Progress Administration (WPA) of the Great Depression in the 1930s, TWO is a gesture to "make work" for visual and performing artists, writers, and others by giving them simple, idea-based assignments to explore, document, or improve daily life in New York City. 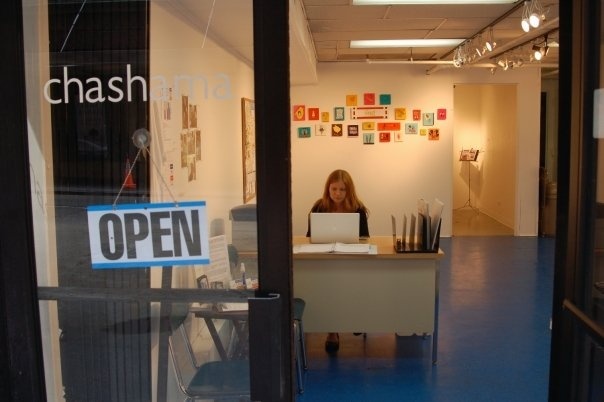 From a temporary central office, TWO's administrators—Katarina Jerinic and Naomi Miller—interview, register, and hire employees; assign, collect, and exhibit work; and distribute Depression-era wages to employees during weekly Payday Parties. Visit www.theworkoffice.com to learn more and see the complete archive of TWO assignments.